Before I travelled to Hong Kong, I looked at the MTR Map, which described all the lines by colour and by name, but not by number. 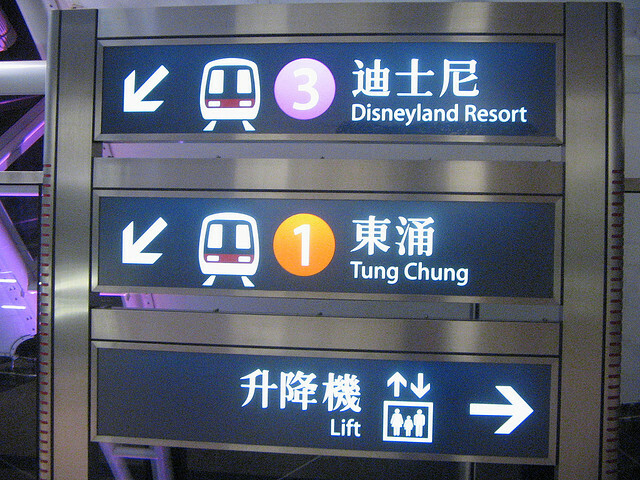 Generally, the signs up around the MTR did the same. You can note the platform numbers (I think trains of different lines always leave from different platforms in Hong Kong, ), but they vary from station to station.